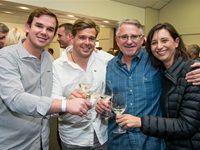 The Nedbank Cape Winemakers Guild Auction recently treated wine enthusiast to this year's lineup of individually crafted wines at the Cape Town International Convention Centre. The wines will be auctioned off at the Spier Wine Estate in Stellenbosch on 29 September 2018. 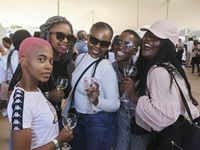 The Wine Art Food Festival celebrated a variety of the country's top wine farms at Freedom Park in Pretoria on 5 May 2018. Over 1500 wine, art and food lovers descended on the Heritage site tripling last year's attendance figures. 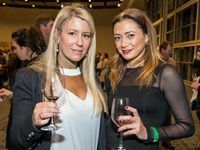 The 33rd Nedbank Cape Winemakers Guild Auction total sales exceeded R13,2m and set a new record price for a case of wine on the day. 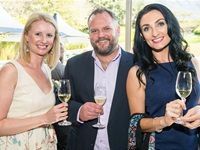 Steenberg launched a brand new range wines, Ruby, Stately and Sphynx, on the first day of Spring, 1 September 2017 at Bistro Sixteen82 at Steenberg. 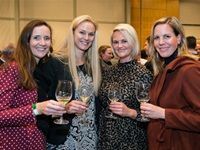 Wine lovers made their way to the CTICC to rub shoulders with winemakers and taste this year's Nedbank Cape Winemakers Guild Auction line-up of rare, individually crafted wine gems that will go under the hammer at Spier in Stellenbosch on Saturday, 30 September 2017. 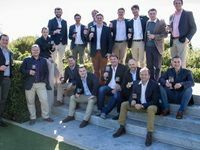 The winners of the 2017 Absa Top 10 Pinotage competition were announced at a special event held at the Cavalli Estate in Somerset West. This year's event also coincided with the 21-year commemoration of Absa involvement with the Pinotage Association.